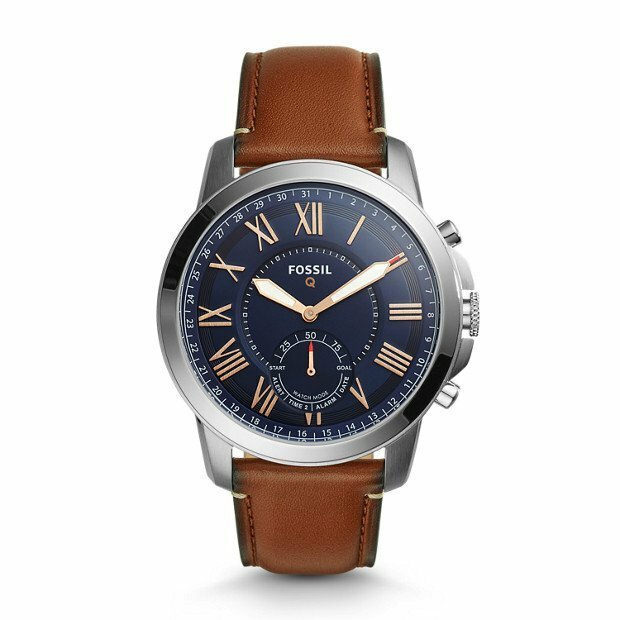 Meet Q Grant, our classic hybrid that looks like a watch, but acts like a smartwatch. With built-in activity tracking, you can track your everyday accomplishments: steps, distance and calories burned. This wearable has an estimated 6-month battery life. When traveling to another time zone, your Fossil Q automatically updates to the correct local date and time.